Posted on September 23, 2015 by Karatzas Marine Advisors & Co.
Sisterships MV “LAN HAI ZHAO YANG”, MV “LAN HAI XU RI” and MV “LAN HAI YANG GUANG” (79,600 DWT/Built 2011 at Wujiazui Shipyard), each with RMB 60 mil. (ca. US$9.4 mil) reserve price; sisterships MV “LAN HAI YING XIN”, MV “LAN HAI LIAN HE”, MV “LAN HAI QIAN JIN” (57,000 DWT/Built 2011 at Yangfang Shipyard – Cranes 4/30 tons), each with RMB 55 mil (ca. 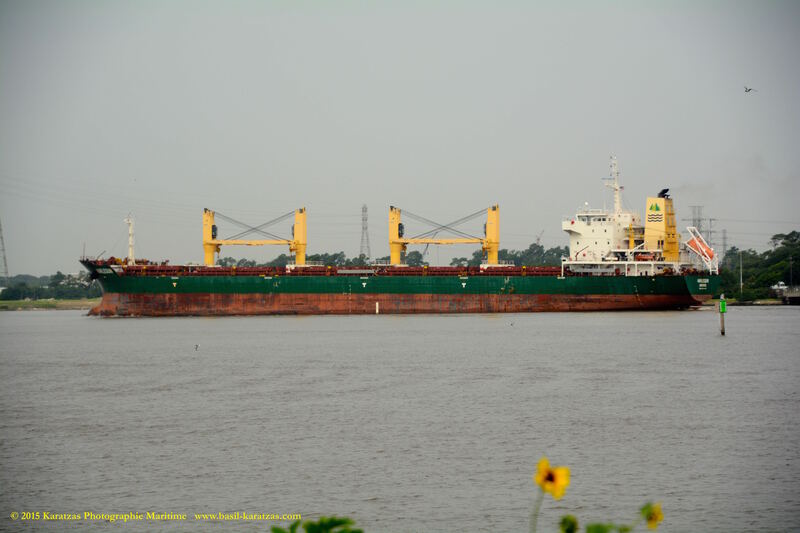 US$8.6 mil) reserve price; and third set of sisterships MV “LAN HAI YANG FAN” and MV “LAN HAI DONG FENG” (57,000 DWT/Built 2010 at Yangfan Shipyard – GEARLESS), each with RMB 45 mil (ca. US$ 7.0 mil) reserve price. The transaction is interesting on several levels: first, the price itself is eye-catching, as even in today’s depressed dry bulk market with asset prices in free fall, these vessels were priced at 60% below market, as the Baltic Exchange lists 5yr old panamaxes at $17.34 mil and 5yr old supramaxes at $15.35 mil. The vessels were sold through auction via the Guangzhou Shipping Exchange, and there was exactly one bidder who offered at exactly the reserve price. The buyer was Sea Traders of Greece, the lesser known dry bulk arm of George Procopiou (mostly known through Dynacom in the tanker markets and Dynagas in the LNG tanker business). The principals at Sea Traders are known for gutsy market calls, and this transaction fits their investment profile; dry bulk is completely out of favor at present, and the purchase price is significantly at discount to the market; more interestingly, the purchase price is approximately twice the scrap price of the vessels, not a bad benchmark, especially given that each of the vessels on average has twenty years remaining design life. The ‘bet’ is fairly asymmetric in favor of the buyer, paying 2x scrap to buy ships with 20yrs life remaining. The vessels came to the market as a result of the 2013-collapse of Guangdong Lanhai Shipping Co. of China, and were offered twice for sale by the China Construction Bank at auction last year, each time with a botched outcome; typically, the calisthenics involved bidding at Chinese auctions is a tad too much for the liking of most foreign bidders, including bureaucracy and terms, delays and postponements, ‘hurry up and wait’ developments, conflicting information and a daisy-chain of brokers from Shanghai to New York who pretend to have the ‘inside’ and access to the owners / procedure / process. This time the sale took place through the Guangzhou Shipping Exchange, an ambitious Chinese effort in shipping to shift the center of gravity in shipping to their region. It’s interesting that no financial buyers, especially from the US, bid for the vessels. There are more distressed funds with interest in investing in shipping than we care to count, and all complain that there are no distressed deals in shipping; if this transaction at 60% below market and at 2x scrap for five-year-old ships does not qualify as distress, then, what does? Is that the dry bulk market at present is so much out of favor and many funds lost shiploads of money in shipping that no-one wants to hear about the sector any more? If this is the case, and market participants are prepared to ‘throw in the towel’, then this is actually great news since in most cases signifies the bottom of the market. Was it that no financial buyers appreciated the ‘distressed’ nature of the transaction because some say that funds really do not know much about pricing in shipping and appreciating ‘full price’ from ‘value’ or ‘distress’? Was it that many funds in the past bought cheap Chinese ships because they were just ‘cheap’ (cheap in price, cheap in quality) and they ended up spending a fortune to bring them to quality standards and that those vessels would never get to appreciate in price given their lousy pedigree? It’s interesting to note that these vessels in this transaction are not of the sexiest, shipshape-ly structures ever to float on the water: they were built by universally unknown ‘greenfield’ shipyards that built these vessels for their own account (more or less) with no independent third-part supervision (more of less). The vessels are China Class, which does not offer the highest degree of comfort to some buyers. Besides their un-impressive pedigree, the vessels were at warm lay-up for more than a year now, and idling vessels, even with crew onboard, ‘aren’t getting any prettier’ with time: marine life keeps accumulating below the waterline and rust from sea-water keeps chipping above the waterline (vessels were under arrest for a distressed owner, and one has to think with how much enthusiasm the crew was looking after the vessel). Also, the last set of sisterships, are gearless supramaxes, a rather limited asset class with limited trading capabilities. All in all, in terms of pedigree, reputation and quality, the vessels, despite their modern vintage, were not exuberantly impressive, and for the buyers, it will require some investment and operating shipping expertise and TLC to make ships out of them. Again, for a gutsy operating shipowner the transaction makes sense: buying ships dirty cheap when the market is completely out of favor; It will take some time and investment to upgrade the vessels, but on an un-levered basis, they are expected to be cash flow positive in their trading lives with such low cost basis; in such respect, this is a ‘neutral carry’ position, and if/when the dry bulk market pops in five years, if we say, these vessels would have delivered a double digit return. If the market goes to hell, as everybody expects now, the absolutely worst case scenario is that the buyer has lost $3 mil per vessel: the downside is limited, the upside can ride the market to the top, the probability is higher that the market will be higher rather than lower in five years, and thus, a fairly favorable ‘asymmetric bet’. There has been the additional reputational benefit for the buyers acquiring eight vessels en bloc at a Chinese auction for US$68 mil; not many transactions of this nature take place and not many buyers have successfully done that. Given that this is an auction sale that requires immediate full payment, there are no many shipowners in the present dry bulk market who can afford US$68 mil auction acquisitions, in an abysmally low dry bulk freight market. At a time when rumors fly on which shipowner is next in line filing for protection, this transaction has certain reputational cache. Again, the rumors for dry bulk companies possibly preparing to file for protection encompasses very well respected and big names, almost as big and good as the buyers of similar ships. 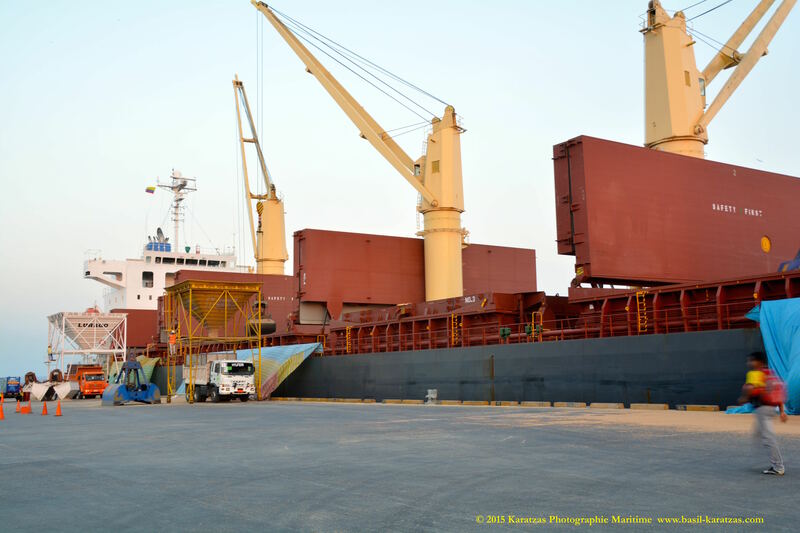 At a time when dry bulk freight rates dial up losses and the pain in the market, there are interesting transactions here and there; there is always money to be made in those ships, but watching who was ‘waving the flag’ and who was not, always informative. As the recently departed Yogi Bera once said: “You can observe a lot by watching”.